If you’re considering adding a sun room, remodeling a kitchen or bathroom, finishing a basement, replacing old drafty windows, replacing or adding a deck, JP Carpentry & Renovations can help you design and realize your dream. We are creating unique projects by performing at the point where design and value meet while always offering a single, high level of quality. 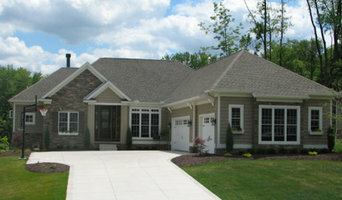 The mission of the Franklin Building Group is to provide the highest level of client satisfaction. To this end, we strive to maintain clear communication, listen attentively to our client's needs and produce creatively designed and meticulously built projects. Creative perfection....The design team at Elegance says that's what its all about when it comes to designing your custom home. With over 30 years of experience in new home construction in Northeast Ohio, you can be sure that you're in good hands. Our in house draftsman, designer, and decorator will work directly with you to create your one of a kind home. Whether you are looking to downsize for a more simplified lifestyle, in need of stepping up for a growing family, or building that extravagant home you always dreamed of; the teamat Elegance believes it's all about catering to the individual and their personal needs and lifestyle. We are committed to building your trust and value the opportunity to earn your business. 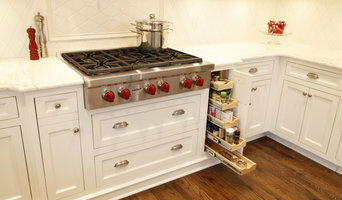 We are a custom remodeling company with a focus on unique and quality projects. When you need a partner who’s serious about understanding your needs and helping turn your dreams into reality, Michael Kline and Company is the right choice. Our speciality is working in the details. Whether it’s a dream kitchen, bathroom remodel, custom cabinets/furniture, a room addition, porch addition or anything in between, we are here to make it happen for you. 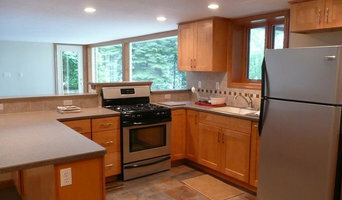 Full service remodeling company. We proudly serve the Northeast Ohio community with the finest crafstmanship and customer service. We complete jobs of all scope and size. One client at a time we are building a community of happy and satisfied customers. Honesty, Integrity and Professionalism is our motto. Danmark Design+Construction is a custom home builder specializing in building quality custom homes and home additions in northeast Ohio since 1996. Our team consists of dedicated and knowledgeable professionals who will make your Ohio home building experience enjoyable and rewarding with open and honest communication throughout the entire process. The high level of care given to each customer leads Dan Enos, President, to be fully involved in every aspect in the building process. Building the best today means keeping up with trends in new home designs and the latest materials; it means staying up to date with the constant changes in the home building industry; and it means building each home as though it were our own with the most competitive pricing available. Danmark gives homeowners peace of mind with their professional, experienced team and they stand behind their work with a comprehensive warranty second to none. True custom artistic design and build. Environments by Design is a single source for everything from simple renovation projects to complete design and construction services. We are a collaboration of professionals who want to work with you on your next commercial or residential project. We are a division of Audio Video Interiors so integrating technology into your everyday space is our specialty. From design-build home theater projects to an automated sports simulator to home automation & security, we are our clients technology solution provider. Our team is a National Award-winning systems integrator devoted to exceeding our clients' expectations. 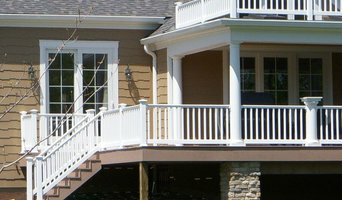 Grande Maison is a design-build contractor that specializes in custom homes, additions and renovations. Winkelmann Design & Construction is a locally owned and operated Architecture and Construction Management Company located in Akron, Oh. We have over fifty years of Architecture and construction experience. We design and build really cool projects and we save our clients money while doing so. 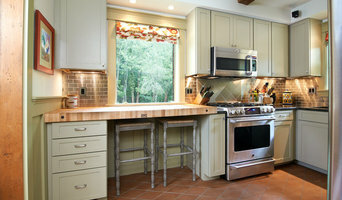 We are a small, custom residential design and construction management company. We will take on any project. We love a challenge. We approach all of our custom projects from a design standpoint, and provide custom construction management services after your design has been completed and approved by you. The mission of Palmieri Builders is to provide the highest level of client satisfaction. To this end, we strive to maintain open lines of communication; listen attentively to our client's needs; and produce creatively designed, quality-crafted homes.